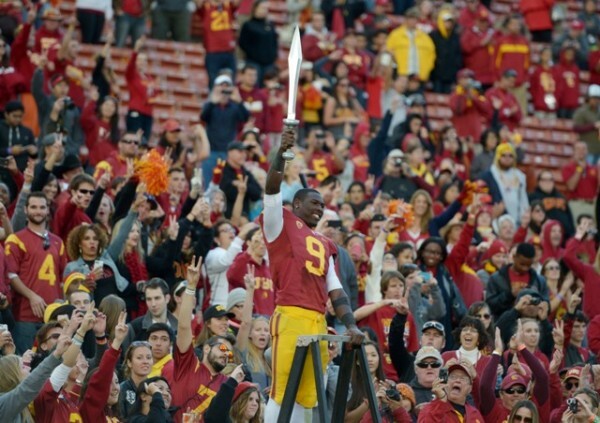 Marqise Lee is a finalist for the Biletnikoff award honoring the best wide receiver in the nation. The trophy presentation will be held at Walt Disney World in Orland on December 6th. The other nominees are West Virginia’s Steman Bailey and Baylor’s Terrence Williams. Lee is currently leading the nation in receptions with 107 and receiving yards with 1,605. He ranks third with 14 receiving TDs. Lee is considered the favorite to win the award.